To get a quote for Evaroof Orangery Roof or to take advantage of our free design service, get in contact below and get the ball rolling. Bringing the same multi-layered insulation and stylish design to orangeries as well as conservatories and glazed extensions, orangery Evaroofs is an efficient method of letting homeowners enjoy their indoor and outdoor areas within a warm and light extra living space. The seamless combination of an internal vaulted ceiling and external tapco tiled slates results in an incredible appearance both inside and out. Orangeries by their very nature feel like a much more natural addition to the home thanks to their brickwork construction, introducing an Evaroof helps to complete this package by introducing energy values and styles indistinguishable from any other room in the house. As the Evaroof’s orangery variant is fitted to be pitched, poor water drainage and sagging will never be an issue. 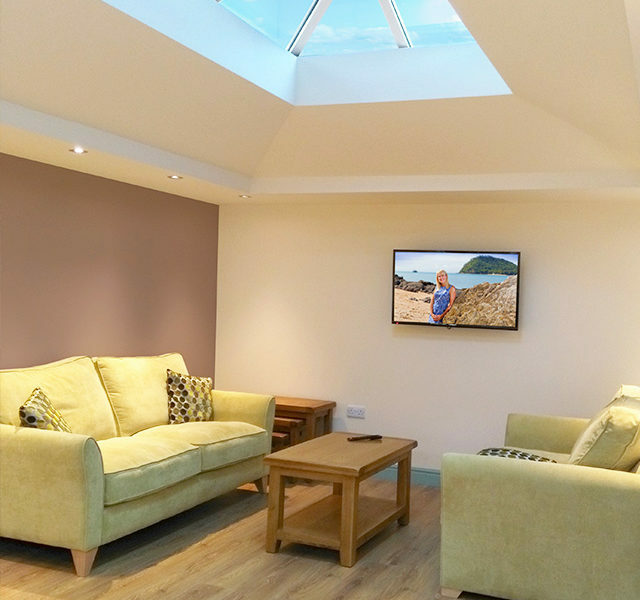 Helping homeowners make the best use of natural light to keep your newly revitalised extension bright, airy, and welcoming, any Evaroof orangery can be installed with a sleek and robust roof lantern on top, which helps compensate the structures solid surround. A welcome way of more easily letting natural light enter the space throughout the day period, you’ll easily be able to enjoy a brighter and revitalised mood along with the smart and striking tiled roof design. 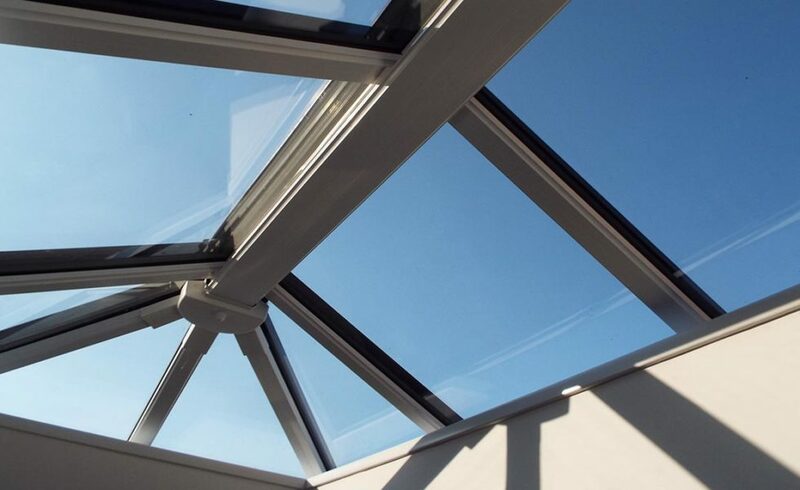 Even though orangery Evaroofs already contribute a lot towards energy costs thanks to superb insulation qualities, the addition of a roof lantern can lessen your dependency on artificial lighting by a great deal. This can lower your electricity bills even further, and grant you a healthy dose of vitamin D all at the same time. Those hoping to create a perfectly set mood or want to integrate their extension as truly an additional room of the home can do so with an orangery Evaroof using additional lighting. The Evaroof is solid enough to withstand elegant and charming ceiling lights without corrupting the beautifully clean internal finish. With a choice of internal lighting styles to choose from, whether you’d like them to be fitted in the ridge bulkhead or a newly fitted lighting pelmet which will be plaster finished, the interior of your orangery Evaroof will always remain inviting and homely. Evaroof orangery comes readily available in a generous choice of roof tiles and colours which can be easily matched to your home’s sense of character. 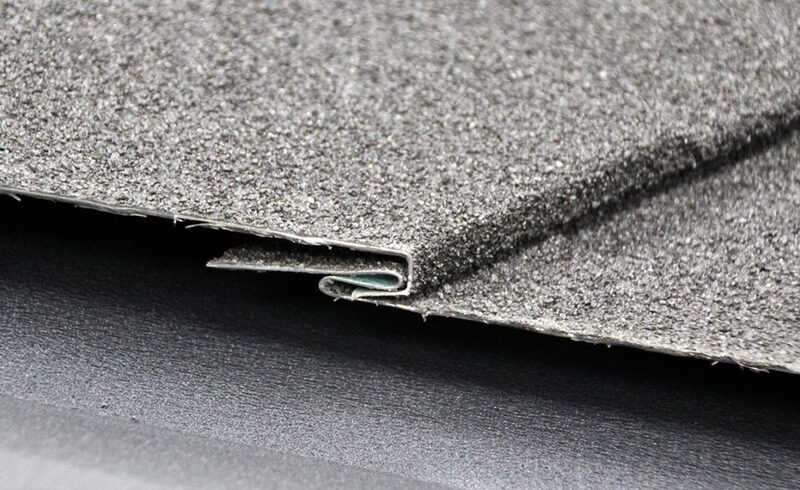 All of them remain extra light in keeping with the core aluminium construction of the replacement roof, never compromising performance for the sake of style.